If you do follow us on our Facebook Fanpage, you probably notice that we have announced that on 26th August which we will have a free contest/giveaway in the up coming time. Well, actually it is better to call it as a contest than giveaway. 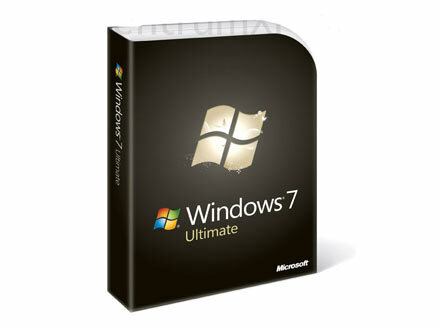 We are giving 1 Windows 7 Ultimate 64bits OEM to 1 lucky winner. How to win it ? You must own at least 1 website or blog. You should place a link about our blog on your website or blog. After you place the link on your website or blog, please leave your comment here. You should fill in Your Name, e-mail address, website and your comment below. Your website or blog which contain our link should fill into website column. We will announce the winner on 16th September (Malaysia Day). The lucky winner will be picked by random.org. This Windows 7 Ultimate 64bits OEM worth over RM 650. We will contact the winner via email after 16th September to arrange the DVD package delivery. We hope you enjoy with us. This entry was posted in Free Stuff and tagged contest, Free Software, Giveaway, Malaysia National Day, Windows 7 Ultimate on August 31, 2011 by RMvalues. What is UAC ? UAC is User Account Control. Have you noticed that we used to speak about UAC in our previously few posts ? When turned UAC notification on, User Account Control helps prevent potentially harmful programs from making changes to your computer in Windows 7 by notifying and asking you for permission before letting the program run or install. Now, we are teaching you on how to turn of the User Account Control Notification, so that everytime when you make changes to your computer, you won’t receive the prompt notification. In Category View, select User Accounts and Family Safety > User Accounts. Or change to All Items View. Click on the Change User Account Control settings link. If prompted by UAC, click on Yes to approve. Adjust the slider to the level of protection of how much you want to be notified from UAC. If you have just turned UAC off, then you will need to click on restart the computer, or manually restart the computer, to apply the changes. NOTE: Simply turning on UAC or changing the UAC level without turning it off will not require a restart. Any difficulties ? Share with us by leaving your comments here. This entry was posted in Computer and tagged Control Panel, protection, User Account Control Notification, User Accounts and Family Safety, windows 7 on August 20, 2011 by RMvalues. Now we will show you how to set the Windows 7 Start Menu to display with either small or large icons in it’s pin to area. Right click on a Start button and click on Properties. Click on the Customize button under the Start Menu page. Uncheck the Use large icons box if you want to use Small Icons. Check the Use large icons box if you want to use Large Icons. Open the Start Menu, then type regedit in the search box and press Enter. Or you can press windows key + R, then type regedit and press Enter. If prompted by UAC, then click on Yes. In the right pane of Advanced, right click on Start_LargeMFUIcons and click on Modify. Type 0 (number zero), and click on OK if you want to use Small Icons. Type 1, and click on OK if you want to use Large Icons. Restart the computer to apply. This entry was posted in Computer and tagged icon size, regedit, Registry Edit, Start Menu, windows 7 on August 18, 2011 by RMvalues.